March is full of health days that are important for eye care, 23 March is clerated as World Optometry Day. 23rd March to 30th March is celebrated as World Optometry week. It is an opportunity to draw the spotlight on a key eye care profession and their critical role in tackling uncorrected refractive errors and other eye care services like contact lenses, low vision rehabilitation, binocular vision and many more. Uncorrected refractive errors (URE) affect people of all ages and ethnic groups and are the main cause of vision impairment. 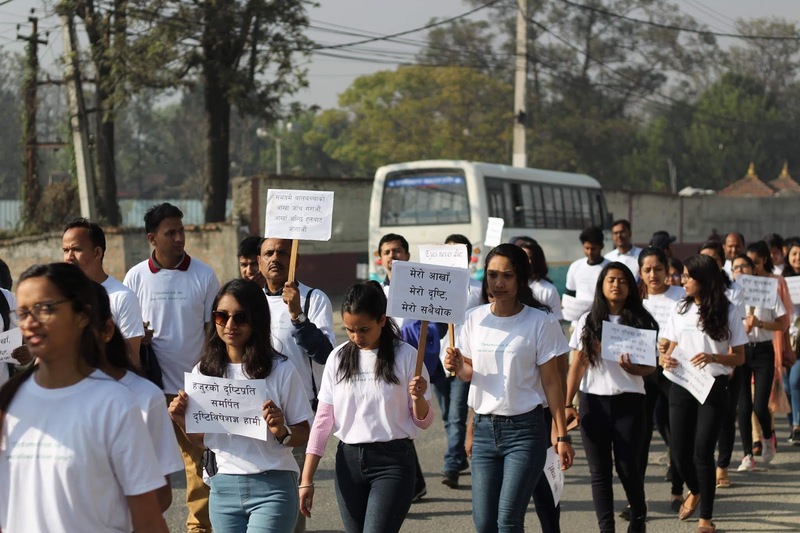 According to IAPB (The international Agency for the prevention of blindness) 285 million people are blind or visually impaired and 90% of the world’s visually impaired live in developing countries. Poorer populations are more affected by blindness and visual impairment. 4 of the 5 causes of visual impairment are avoidable. 42% of total blindness and visual impairment is due to the uncorrected refractive error followed by cataract which accounts for 33%. These is just because they do not have facilities of quality refractive services and a pair of spectacles. They often result in lost education and employment opportunities, lower productivity and impaired quality of life. From affecting 28% of the world population to a prediction of affecting nearly 50% by 2050; myopia is rapidly on the rise. Myopic eyes have increased risk of more complicated conditions like cataract, glaucoma, macular degeneration and retinal detachment. Control of myopia is essential to get rid of these more complicating conditions. Recent researches have shown that certain approaches line contact lenses, orthokeratology, bifocals and low dose atropine are successful in controlling myopia. Optometrists are healthcare professionals who can provide comprehensive care for myopia control which is arising as a major public health concern. 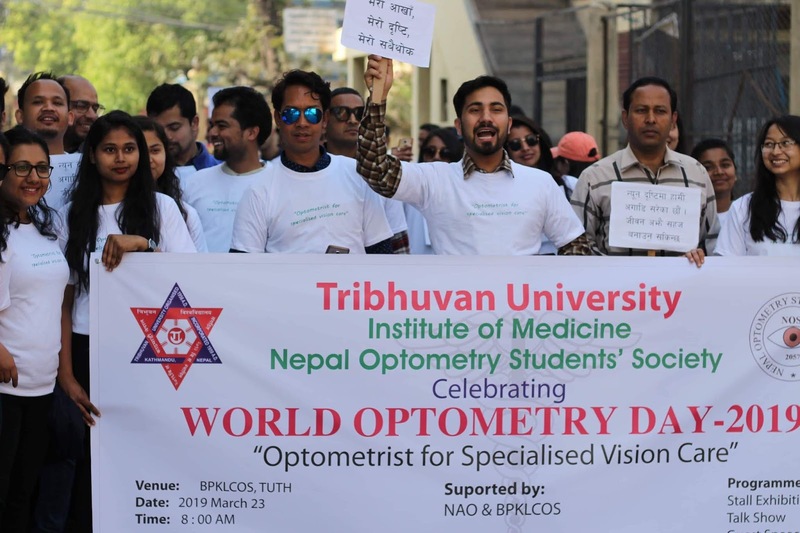 Optometry education began in Nepal in 1997 with the establishment of a Bachelor of Optometry program at the Institute of Medicine, (IOM) Tribhuvan University. Recently this program is introduced by National Academy of Medical Sciences (NAMS). 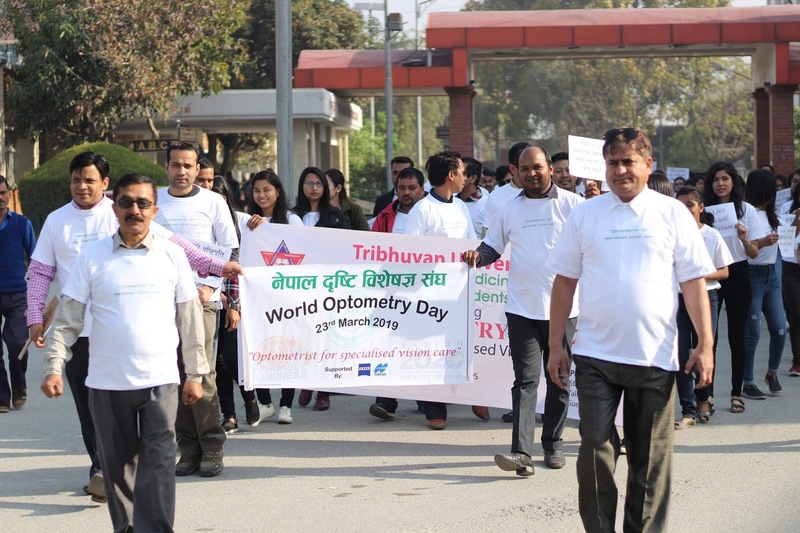 There are more than 650 optometrist registered with Nepal Health Professional Council. (NHPC). Even after two decades of the establishment, the profession is still in its infancy stage. 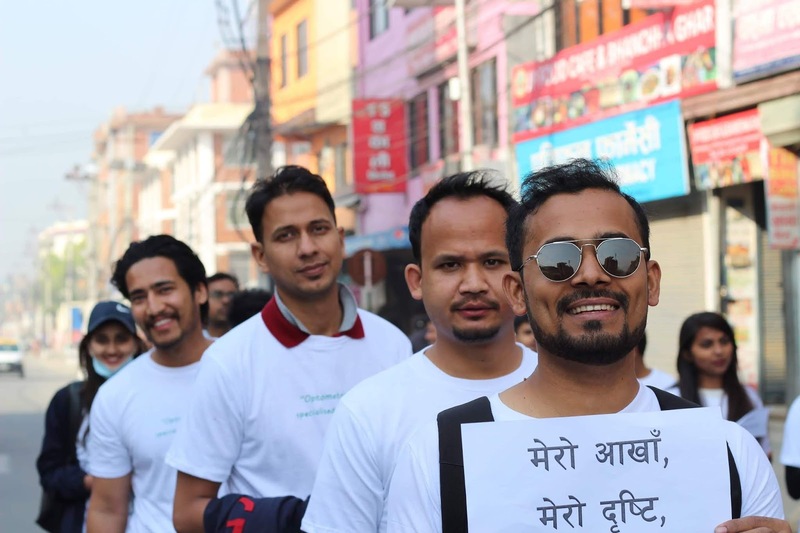 On the day of World Optometry Day here in Kathmandu, a group of more than 100 including Optometry students, ophthalmic Assistants, ophthalmologists and Optometrists alongwith other stakeholders participated in the rally this morning. Prof. Dr. Anand Kumar Sharma, medical Director of BPKLCOS, Mr. Bimal Poudyal, president of Nepal Ophthalmic Assistants' Society (NOAS), were the chief guess and speakers in the guests talk program. 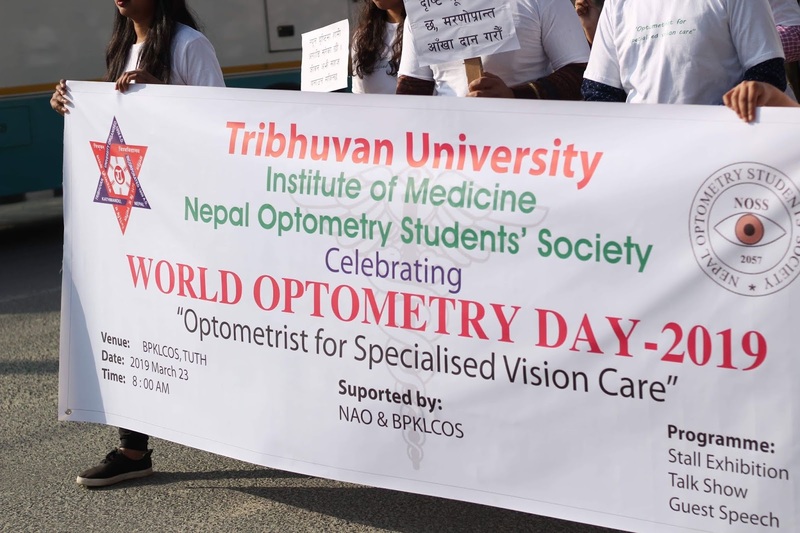 The program is an iniatiation of 18th Nepal Optometry Students' Society (NOSS) in collaboration with Nepalese Association of Optometrists (NAO) and duly supported by Zeiss Ophthalmic Lenses, Topcon and Aveo Contact Lenses.